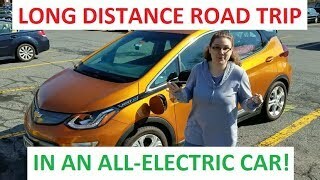 I wanted to see how far the Chevy Bolt can go. So I started with 310 in range and ended with 340 miles. 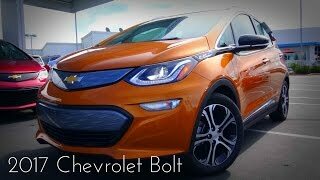 I believe the Bolt has the capability to reach 400 miles in range. I am hoping to achieve that theory soon! What was the average speed of this trip? +Keith Landers Thank you. It would be useful to know the range at various average speeds. how much time did you spend to reach 340 miles? What's the recharge time after this session? Driving at 55 on the expressways here with a 70 limit, you will get run over. Take a trip on the interstate at 55 MPH and let us know how it goes for you. I drive Dallas to Houston 2 or 3 times a year (75 limit) 55 just will not work. Not trying to be disrespectful, just wondering in real driving conditions what the range would be. Jon Smith no kidding. Freeway limit here is 65 in the city. But most people are doing 80. 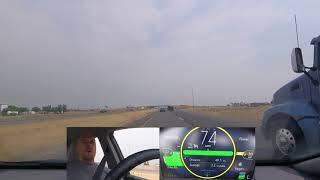 Freeway speed outside the city is 80.
way to push the bolt to the limits and to show what is possible. This cars beats any Tesla by a long shout even a 100D like you mentioned. I hope to have this car one day. Because they understated the mileage to avoid lawsuits. Probably if you just took off at 60 MPH you would go at least 238 miles. 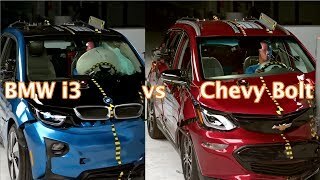 Regenerative braking, if used properly, really helps. This mileage is quite doable. The AC on this car uses very little energy. I drive the freeway everyday in Houston and its damn hot here. I lose about 15 miles on 230 miles with the AC on. Stop and go traffic is almost perpetual motion, even with the AC on. I was on the wait list for a Model 3 but decided to pull the trigger on the Bolt. I like hot hatches and this definitely fits that category. Freeway driving on a flat surface with the ac on doing 60 mph can go 238 miles. I have done it here. 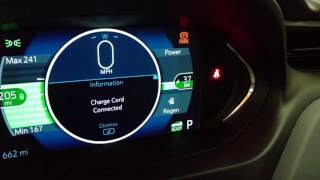 Combined freeway and stop start can easily get more than 238 miles on the Bolt. GM hit it out of the park with this one! 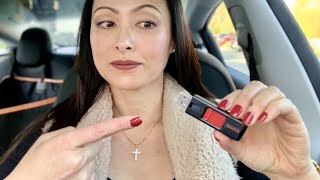 And I am not a GM or Tesla fanboy...just an honest review. You drove it in the best possible conditions. 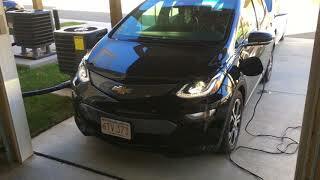 Most EVs are very efficient at speeds up to 55mph. 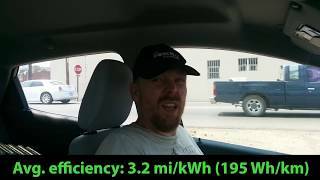 I see you average efficiency is 5.7mi/kwh. At this rate my 2014 Nissan Leaf get over 100mi range even though its rated for 84mi. 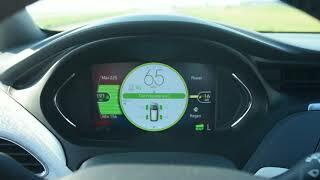 You should try to take it fully charged on the interstate with no slow downs and keep with the traffic at 70mph. 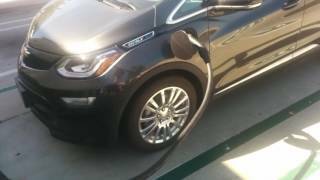 Then i am curious if you can make 200 miles on one charge. 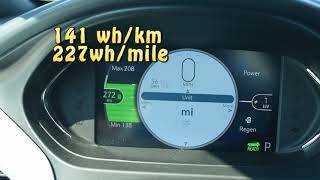 EV Addicted At 70 I expect to get 250 minimum miles. Just got my new 2017 Cancun Red Chevy Bolt last week. I aspire to know as much as you, and to hit 340 miles or anywhere above 300 on a charge. Amazing!!! How in the ??? Were you driving 20mph? Keith Landers how can you go 55 on freeway? You'd get a ticket here for that. No, I drive normal...You can't not go hard on electric cars if you want to focus on mileage. I go 55mph on freeways and nothing more. I can sometimes get it to 60mph if I go down hill(you have to judge it). When it comes to stopping I use the paddle in the back of the steering wheel(which is regen). I average 330/350 miles in range everyday. Thanks for the good information​.My daily commute from the I.E to L.A. is 55 miles each way. I'm usually blasting down the freeway at 70 to 80 mph and sustaining 260 miles per charge. The road is basically flat and I always drive in L mode. I charge 4 hours per night to stay at 100%. TheMaximBond Yes 260 miles at 75 MPH is about right. TJ TJ seriously? So you could go 260 miles non-stop on the highway @75 mph? That's unbelievable! 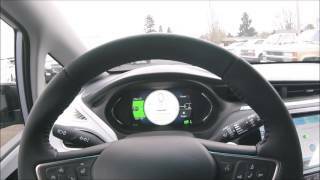 55MPH is efficient speed even for EVs. 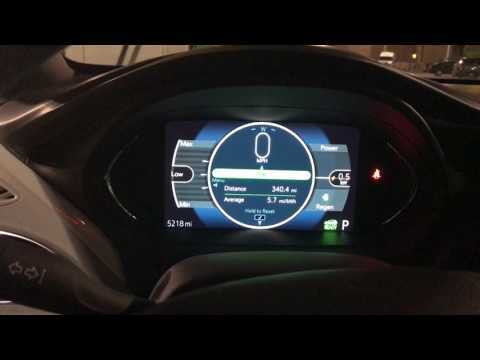 In my 2014 Leaf SL at 55MPH constant speed i still get 4.5mi/kWhand this is almost no regen except when i exit the highway. 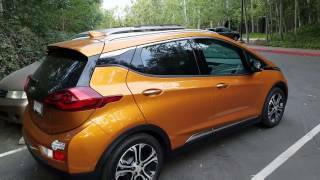 I am curious to see Bolt EV on long trip at constant speed of 65MPH. At this speed you are not way too slower than the rest of the traffic and should be safe. No wonder you got some great mileage.. You live and drive in the traffic hell hole of the world!! 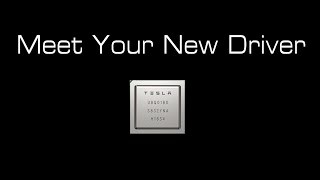 The Tesla Model S 100D is rated for 331.1 city, 337.2 highway, 335 Combined and people have went 500+ miles on a charge with a 85D so we can expect 600+ miles with a 100D. Sorry be the Bolt can't touch that. That's unreal! 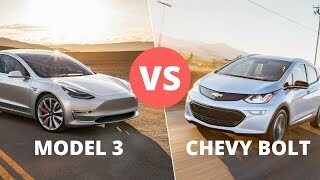 I've been waiting for the model 3, but I might not wait and snag a Bolt. Randy Green Good choice! It is “insanely great”! 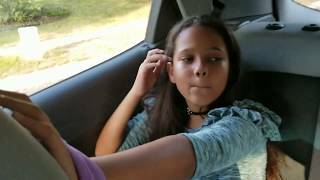 Better realistic holographic almost audiophile quality sound from an IPhone 6. And what's your point with that???? so my hourly rate in the UK is £0.16p. 59.2kwh x £0.16p = £ 9.4 in electricity? is this right? Ramblin Man especially motoring down the Coast Route in your Bolt. Doesn’t get much better! McGoo x who needs AC. Crank down the windows. A.c. doesn't use much ....... it's the heater that kills every range. The 238 mile range is given as a guide for normal use. You are trying to maximize your range which is great but most people will not want to give it that much thought. What are you doing as far as driving ?...one pedal drive? in town not going over 40 ? are you coasting to a stop ? how long does it take you to get to 25mph from a dead stop? I know the tesla gets 500 miles on certain conditions. I was saying straight out the factory in the video. 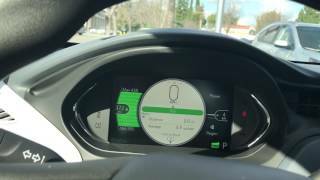 I have driven the tesla 100D and I got close to 450/475 on my first attempt. When I drive in town I keep my speeds at 35 mph, but I do get up to 40 mph sometimes. Also, I do not use the one pedal at all. I have tried it, but it does not work for me. So I coast a lot to regen the battery. Lastly, I never seen how long it takes me to get to 25mph. My guess would be 5 to 7 seconds(just a guess). Amazing! Thank you for posting. I love to see the Bolt over achieving the EPA estimate. I can't wait for mine to arrive! Hi Keith. Yes, it's a Nightfall Gray Premier with the Infotainment and Driver Confidence II packages. Hopefully it arrives in early March. Can't wait. 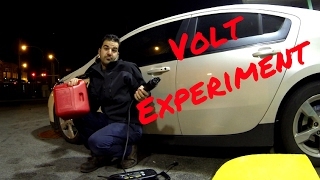 Thanks for the compliment, I am hoping to see how far we can take the bolt! What Bolt color did you get? Is it the premier edition? Nice! Even better then the EU promise of 520 km! No one believes that; you just proved it is very possible. 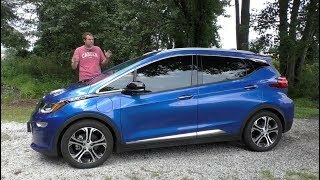 I am amazed the Bolt almost uses the full 60 kWh of the rated capacity. In real life the battery must be rated at 70 (or so) kWh? Some 10-20% is usually kept in reserve to ensure a long life of the battery. Yeah, as I was hooking it up to the fast charger the screen said I had 1% left. So that makes me wonder that I had at least 10 miles or so before it would have stopped! 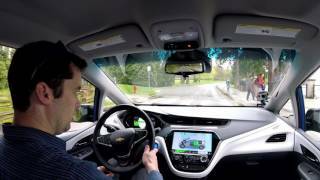 ONE PEDAL DRIVING in the Chevrolet Bolt EV!